In the left menu you will see Listing Owners. Individual owners can be assigned to actively maintain and manage your guide listing content. Owners can manage multiple listings. They have their own private login. You can choose to Enable Live Updates or manually approve all changes. 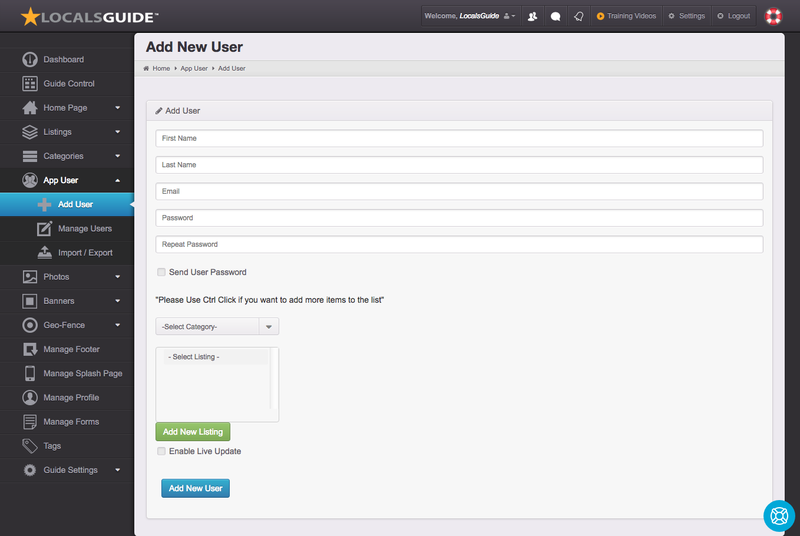 Add User – Add users to manage listings. Give them an individual account with private access to control the listing. Users can be assigned to multiple listings. Import / Export – Import a list or export a list of your listing owners in CSV format. Listing Monetization – Currently listing sales need to be monetized and managed using your own third party solution.